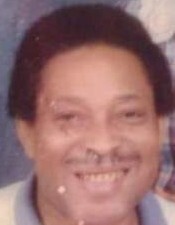 Mr. James A. Logan, loving son, brother, father, grandfather, uncle, and dear friend has completed his transition and is now headed home to get his reward. Life celebration services will be held at The Banks Chapel of Peace 2535 N. Teutonia Avenue Milwaukee, Wisconsin 53206. Visitation will be from 10:00am until Noon Saturday 10/28/2017.Life celebration services to follow. Please send all floral donations to the funeral home. The Logan family will also have additional Life celebration services in Oklahoma. Please call the Keith D. Biglow Funeral Directors, Inc. (918) 756-2233 or visit them on the web at http://www.biglowfunerals.com/ for more details. A special thank you to Mr. Keith Biglow, Mr. Tristan Wilson, and the enitre Biglow Funeral Directors Inc staff for their intrinsic role in caring for Mr. Logan and the Logan family in this hour of sorrow. We applaud and appreciate all the hard work and dedication they have shown in this great time of need.